Unknowingly a couple of weeks ago, I hit a hot spot for many of you when I brought up some pointers on retail. Seems like such a simple concept yet, a good majority of you aren’t selling retail at all. Another good majority only order as the client request. And, a good majority of you admitted your product gets dusty from being on the shelves so long. Why is it as far back as 31 years ago, I was told my retail profits should pay my rent? Why is it I have clients who boast (as they should) they personally sold $50,000.00 in retail products last year? Why is it stores like Sally’s, CVS, Walgreens and Walmart all survive on retail alone? Yet, it seems many of you are either afraid of it or don’t know how to get started and even don’t want to be bothered by it. It’s bewildering really. Selling products you use, selling products you love is super easy. Why? Because it isn’t selling at all! What exactly is selling retail? A retail sale occurs when a business sells a product or service to an individual consumer for his or her own use. It’s important to note. Once you make the decision to sell retail, you also have to think of Merchandising….everything you do to promote and sell your products once the potential customer is in your store. I personally don’t like to refer to it as “selling“. In our Business, we are usually trying to solve a problem. We want our client’s skin on their feet to be soft and free of cracks and roughness. We want our clients nails to be healthy. Therefore, I think of this process more as a “recommendation“. The benefits of recommending products for use at home are both for the client, and yourself. Your job….when they return to your Salon takes less time and less effort. Which brings me to my above comment…..we don’t sell, we recommend. You have a client in your Pedicure chair. You perform a consultation and notice they have severely dry skin, not quite cracked but almost. In speaking to the client as part of your consultation, you are asking various questions regarding lifestyle, health issues or concerns etc. etc. One question everyone forgets to ask is “tell me something you don’t like about your feet?” Almost always the client will respond with “I don’t like the roughness, the dryness, the cracking…whatever it may be”. In my 30+ years of going to that question, I have never gotten a NO. Let’s now go into a little math. There is a food chain of sorts when it comes to products. 2nd we have the Distributor ‘me” who buys the product from the Mfg. It cost the Mfg. $1.00 to make the product, who then……. Sells the item to the Distributor (wholesaler) for $2.00, who then…..
Sells the item to the Retailer for $4.00, who then….. In theory, this is all good. From the bottom of the food chain up…..everyone makes money. Unfortunately, there are times when the Mfg. skips over the Distributor and goes straight to the Retailer. And, there are times when the end user skips over the Retailer and goes straight to the wholesaler (Amazon). Don’t EVEN get me started on this subject. The question then becomes…..why sell at all? There are so many factors involved in recommending products or “selling retail”. Don’t let this process scare you. They are steps which mostly happen naturally. You just have to follow them! Use the product. We have all heard of the shoemakers kid. The one with holes in the bottom of his/her shoes or broken shoelaces. Don’t be that kid. Our clients like to know that we “walk the walk”. Using a product you recommend is the #1 easiest form of selling retail. Take pictures. There really is no easier form of advertising than before and after pictures. Post them, frame them, show them off. All retailers use pictures. Pictures of products, pictures of results. You are a retailer, act like one. Merchandising. You can’t just put products on your shelves and expect them to sell. There are many little “secrets” to promote eye appeal. Window and in-store displays–many products have displays. They typically come free with product purchase. Grouping related products together–suggestive selling. Group products which work well together. Something like a foot cream with a foot deodorizer spray. Shelf signage–there is so much available on the internet to help with gorgeous, professional looking signage. In addition, many products come with already made signage. Ask, we have them or at least the PDF for your to print. In-store ads featuring the merchandise–TALK about it. SHOW it. Samples and giveaways–I think these should be used sparingly. After all, we all know those who only come for the samples or the freebies. Giveaways are great for an event. Samples are great to give along with a product purchase. In-store demonstrations–USE IT! I can’t say that loud enough or bold enough. Use the products you promote. It is the best and least expensive form of advertising. Well-stocked shelves-You don’t have to over do it but you should not under do. 3 products minimum, 6 products max. However, don’t have 6 products on a 12 ft shelf. Size your space accordingly. A small shelf with 6 products, 3 of each looks very well stocked. Spotlighting promotional items-take advantage of your Distributors promo’s. Clients, just like you, love a deal. If you aren’t getting any promo’s coming from your suppliers, do what I do and make your own. Sure, you reduce your profit margins, but it will always bring you in new business. The first thing I encourage you to do, is set up a separate account for retail inventory. You can do this on paper or literally open a separate bank account. For me, having a separate bank account worked better. I still run my Business and my personal life in the same manner. It works for me. Purchase $100.00 in product for retail, minimum. I usually like to recommend $300.00, but for many of you this may be an initial struggle. Starting small is better than not starting at all. Once you sell a product, move the $$$ from that product over to you separate account. Do this daily until you get into the habit. Do you whether you sell one item or 10. Eventually, that account will build up and THIS is the account you purchase all your retail items from. Now, pick a #. Will it be $500.00, will it be $1000.00? This is your goal number to get into that account. Once you get to that goal, you never let it go under. Now…it’s time to start saving for your rent. At some point you can decide, if you want to purchase more than $100.00 in product. And, you always want to make sure you aren’t purchasing products for more than what is in your account or below your goal amount. By using this system, you are only really investing $200.00. The rest of the monies is pure profit from your retail sales. Eventually, it will build and before you know it, you will have an account with thousands of $$$$$ in it. An account you use strictly for “retail” purchases…..and to pay your rent…..and to put some cash into your own pocket. I think the biggest mistake most people make, it they merge their products purchases with their retail. Consequently they end up using retail profits towards product purchases. They never realize the $$$$ promoting retail is making them. In addition to managing the financial aspect of getting started with retail, remember there is one thing people need to have in order to make any of this happen. TRUST! Know your products. Know how and why they work. Know what product to recommend to what client. Know your ingredients and how they will benefit. In other words, be educated. Don’t just purchase a product for the sake of retailing. Know your clients. What do they need? What do they want? Are you listening? Know competitive products. Your clients will ask…know how to answer. I’m going to refer to a slide I use in my presentation to schools. 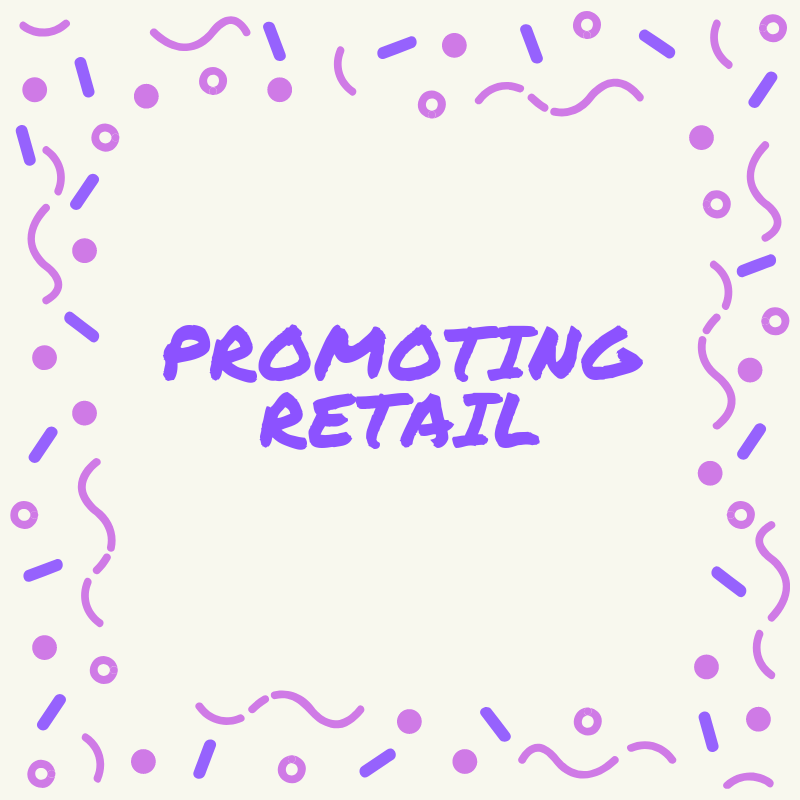 Promoting retail take CONFIDENCE! C Clarify your point of difference. What is the difference between your product and what your client can purchase elsewhere? N Never feel intimidated. Always remember, you know more than they do. If not, fake it till you make it. F Find your comfort words. This is so important. I know there are certain words or phrases I’m comfortable with. However, that may not be the way I learned it. It’s imperative you find what works for you. The more comfortable you are with your presentation, the more believable you will sound. I Immediately present. I’m a firm believer products must be introduced during the consultation. That is probably the one and only time, we have their full attention. D Do it routinely. Practice, practice, practice. The more you talk the talk, the easier it becomes. E Educate yourself. Can never talk about this enough. There are all sorts of free webinars available. There is all sorts of info on the internet. The license you have gives you the opportunity to perform the service, but self education is the best education. And, it has to be continuous. C Communicate clearly. I mean this with no disrespect, but dumb it down to your clients level. I am the perfect example of this. When I first worked for Footlogix, they spoke in terms that spun my head. They were bewildered by the fact they could not build the US market. I flat out told them….you are speaking in terms we don’t understand. I spent countless hours on the internet transferring their “medical” terms into terms I knew my fellow Technicians and myself could understand. Communication is key. E Engage your client. Put the product in their hands. The second the say “yes…I would love something to help me with my dry feet”, get up, get the product and let them hold it. Is retail one of your goals? I’m here to help. I challenge you to take the “retail challenge”. Reach out to me, give me your goal and how you plan to attain it. I’ll give you 30 days. If you double your goal I’ll send you $100.00 worth of products for retail…FREE! If you purchase $100.00 in retail and you sell it at $200.00, on an average of say $20.00 per sale… you only have to sell to 10 clients in a month. Attainable? ABSOLUTELY! Trust….it’s all about the trust! I would like to take your offer. My goal is to sell $100 retail in April. I have the LCN products. I need product knowledge! I have the 10% 25% and 40% for retail that I bought in October…. 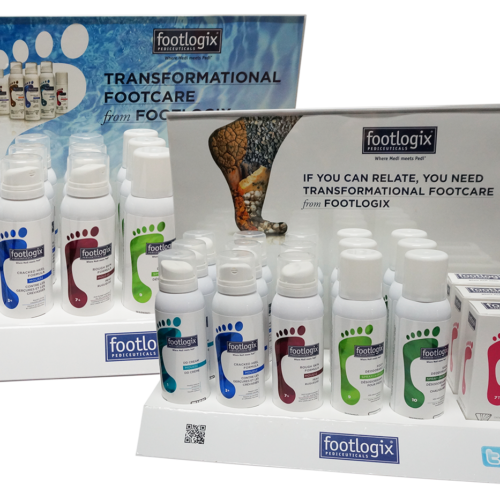 I’m also interested in foot logic products I have their file with callus softener and DD cream I use. Thanks for all the info you share!!!! Renia, if you haven’t already, please email me. I welcome the opportunity to assist. We can come up with a plan together to help you in moving those products. There is no reason they shouldn’t be sold….unless you aren’t talking about them. Please contact me personally. CJ. Great, Have You Heard report!!! I would like to accept your offer of the Retail Challenge. Hi, I replied to your email….let’s DO IT! Thanks so much for this Blog, I open my Medical Foot Spa in May 2019 and right now I’m doing a lot of research on products. 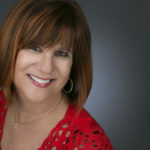 I have narrowed my products down and the first time I heard your retail should pay your rent was on Emily’s Webinar with the LCN Urea product and now this blog gave me a clear vision on how I should work my retail and separate the money! This article was a big help! I would love to talk to you more about the LCN Urea product, all my pedicures are waterless. This is great to hear Apryl. I’m always available to talk whenever you have time. I welcome the opportunity to help.